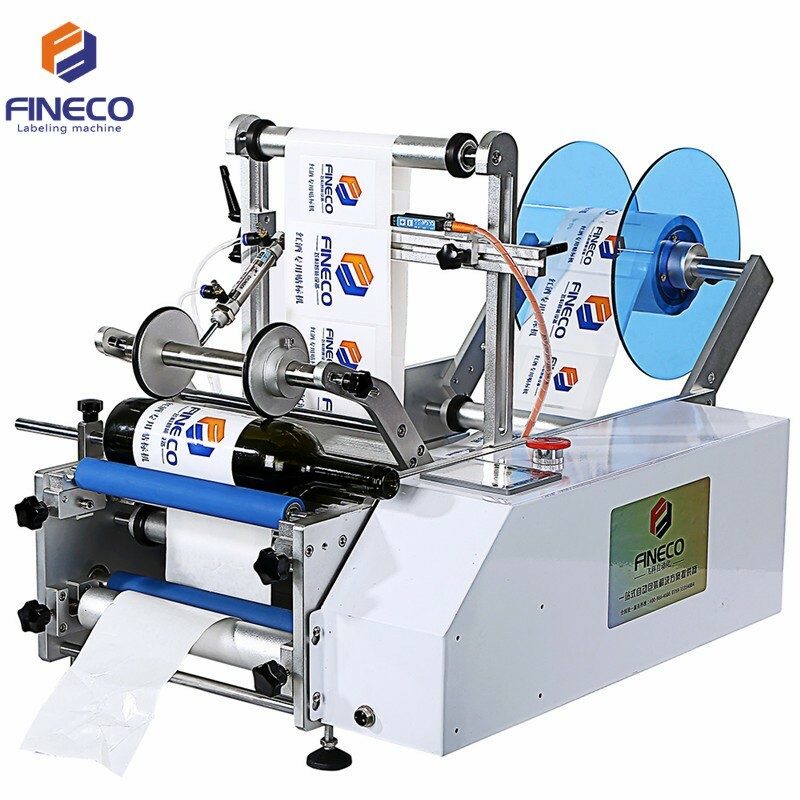 Donguan Fineco Automation Technology Co.,Ltd is regarded as the best manufacturer of the Wine Bottle Labeling Machine. It has set up offices in Shangdong, Jiangsu and Hunan in China. With the constantly development of technology, the company has become a leading role in standard and custom-made labeling machines manufacturing. As the tenet of the company is “Reasonable Prices. Efficient Production and Good After-sales Service” and the company has always focused on research, development and innovation, the Wine Bottle Labeling Machines are exported to more than 20 countries and regions. We have attained ISO90001 and CE certifications, also rated as Chinese “High and New Technology Enterprise” in 2017. And because the super design and good quality of Wine Bottle Labeling Machine, we received a lot of satisfied reviews from our loyal customers. Today we would like to share some of them with you. Reviews: Thank you for the quick shipment! We have received your FK603 Semi Automatic Wine Bottle Labeling Machines. As a soy sauce producer, we are doing better and better. With your Wine Bottle Labeling Machines, we can produce with higher efficiency now. And it is easy to operate them. If we need more, we will order later on. Reviews: These FK806 Automatic Wine Bottle Labeling Machines are wonderful. They are working well in our factory. Our fish sauce now can be labeled with clearer date and pictures. And it seems that it is so easy to put on labels by these Wine Bottle Labeling Machines. They are perfect designed and manufactured. Reviews: The FK602 Semi Automatic Round Bottle Labeling Machines arrived this morning. We have checked and tested that they are in good quality and can give a good performance on labeling. We are also satisfied with the price you offered. Reviews: I love this FK910 Automatic Double Side Labeling Machines very much. As i connect and they can work properly right away. They are better than the ones i purchased before. Also they are fairly easy to operate. And I love they can label so much bottles in a short time. Reviews: Nice to purchase these FK603 Semi Automatic Wine Bottle Labeling Machines! Our pictures or logos now can be labeled on the bottle more efficiently. And they don’t peel off or seem flimsy at all. We are pleased with the quality and design as well. They can be used for a longer time. Reviews: We are excited to receive your custom made Wine Bottle Labeling Machine based on the FK803 Automatic Round Bottle Labeling Machine. You have manufactured it exactly according to our requirements as we have drawn. And we can operate it easily. Thanks. We will contact you if we need more. Reviews: As we are expecting your FK616 Automatic Square Bottle Labeling Machine, it arrived at the right time. It is perfect for us to label our oyster sauce. We like the quality and it is a great product. It is pretty easy to use. It doesn’t have any problems after we use it for a week.